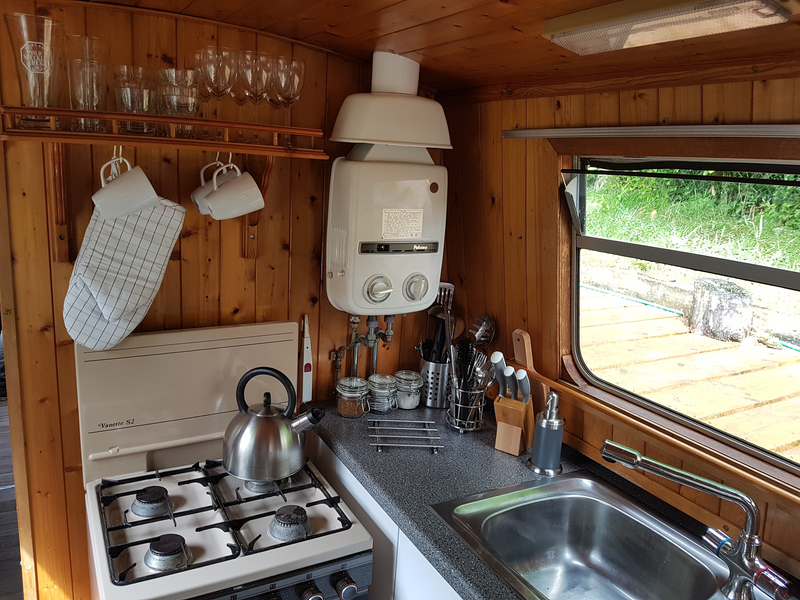 Design : Gemini III is a 45 foot cruiser stern narrowboat with a traditional reverse layout, with the saloon - lounge at the bow or front of the boat, you can leave the bow doors open and with the canopy over the bow sit at the front of the boat protected from the weather. 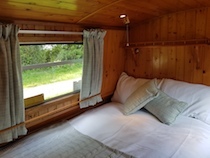 Features : The boat has been renovated recently to a high standard and comes with all modern conveniences. There is full radiator central heating on the boat. A water tank supplies the hot and cold running water. 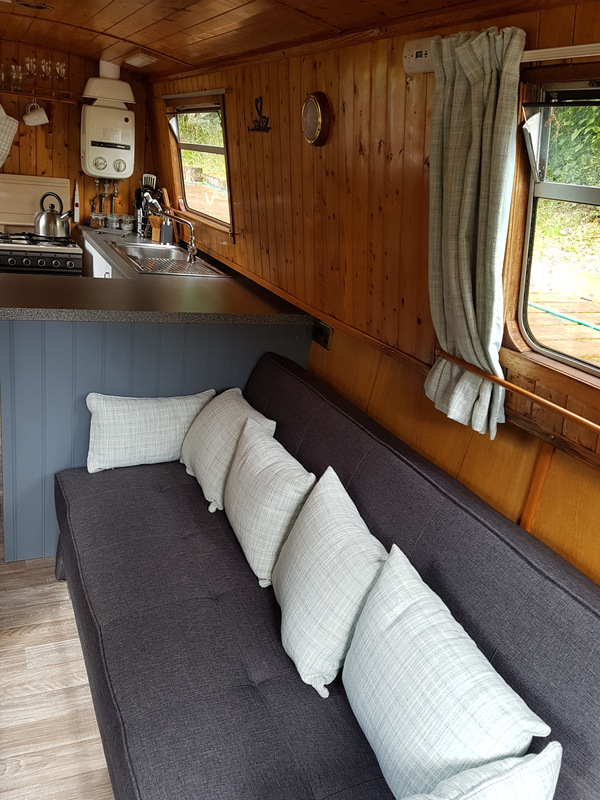 Saloon : The lounge has a large sofa /bed and 2 fold down dining tables as well as four fold away chairs for alfresco dining or sitting out on the front deck. To the front deck there is a space with a fold down table and room for 2 chairs. Radio/CD player; colour TV/DVD player and cosy stove to keep you warm on the chilly nights. Kitchen : The newly refitted kitchen has high gloss cabinet doors and a granite effect worktop, sink basin and drainer with hot and cold running water from a gas boiler, a 4 ring hob with grill and oven underneath and ample storage space , refrigerator; sink and drainer; saucepans; cooking utensils; crockery and cutlery appropriate for the number of berths. Berths : At the rear is the main cabin with wardrobe space, and drawers and cupboards underneath a comfortable double bed, . and in the saloon the sofa converts to a double at night to make 2 berths. 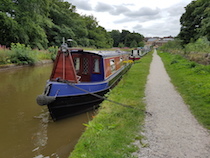 Electric : The inverter supplies 240v electricity to certain appliances and to a socket on the boat. (Please note: if you decide to use any of your own electrical appliances, you do so at your own risk). Upon arrival we will meet you and provide you with a parking permit for the nearby car park. We will give you a full handover for the boat including how all systems work aboard so that you are fully comfortable and confident during your stay.